The Holy Bible is the undisputed best-selling book of all times. Even the popular and great books that have topped the best-selling lists for months and years, be they Harry Potter or what have you, have not been able to dethrone the coveted position the Holy Bible holds. 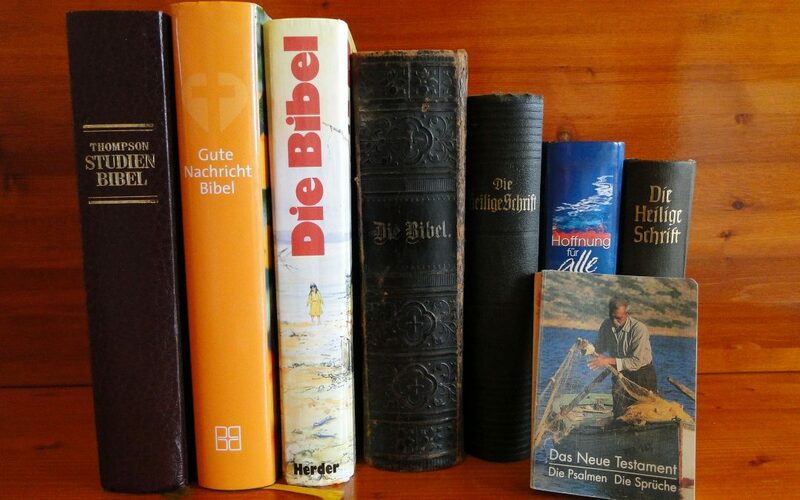 The non-Christian, non-religious, the sceptic, atheist and agnostic, have done their bit to dismiss the Bible, and undoubtedly, would have preferred to see another literary item at the top of bestseller lists. However, while it may seem far-fetched, or even outrageous, to consider this question, the time is upon us when it will be answered. The question: Will the Holy Bible be deem hate literature? We hear and read of incidents from time to time where the Bible comes under scrutiny on some social and political issues, and we wonder how far away is it from being branded or charged with hate mongering. Christians should be aware of the persecution they must face in in their walk with God. Persecution happened in the early church, and is being repeated in the end times. The Bible remains our source of guidance in our relationship with the Creator, hence the Christian must follow its dictates without compromising what it stands for. Our institutions of learning don’t hold the Bible in high-esteem anymore, despite the fact that many of our universities today were founded by churches. In the past, if you were at a hotel after a long journey and need to read a few verses from the Bible, you better have your own. Furthermore, the Bible has been criticized, analyzed, and dismissed, some relegating it to mere fiction or just a historical book that’s not even accurate, not the divine inerrant Word of God. Let’s face it! What the Holy Bible stands for; what it says about how we should live as a human being, and what it says about the origin of the universe and the intelligent Designer known as God, or YAHWEH, are not realities that people want to hear. The Bible tells us what is right and what is wrong in God’s sight. This offends people who behave as if they created themselves and don’t need to listen to anyone including their Maker. That’s where the problem is; people generally don’t want to be told how they should live, especially if it comes from the Creator who knows, and should know, better than everyone, including the great minds. So, in the fullness of time, as we near the return of the Anointed One (anointed to rule as King of the Universe), God’s word, His manual for humanity, will be seen as the enemy because it dares tell people to stop sinning against their Maker. There has been a war waging against sin since the fall of humanity. Satan the Devil is the architect and he has deceived the whole world into believing the Bible, which he knows better than any human being, is an undesirable, outdated, and fictional book. All the good in it is actually bad for you. The unfortunate thing is most people have believed the lie! Fellow Christians, be prepared for the testing times ahead as our Creator tells us in His Word. We may not see it in our lifetime, but God’s Holy book is certainly coming under scrutiny, as it has always been, and one day it could very well be branded the book of hate. Yet we all know God is love! For more on this subject, download FREE our booklet, HOW TO STUDY YOUR BIBLE.